Experience the supreme taste of the Windy City. 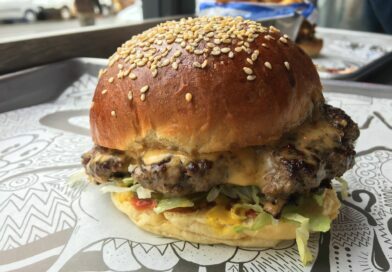 100% beef patty, shredded lettuce, bacon, onions, cheese slices, spicy tomato salsa and cool mayo, all in a chilli, chive and sesame topped bun. 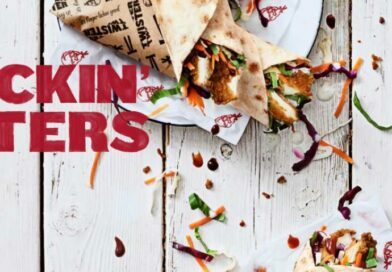 Price: £3.69 for the burger only. 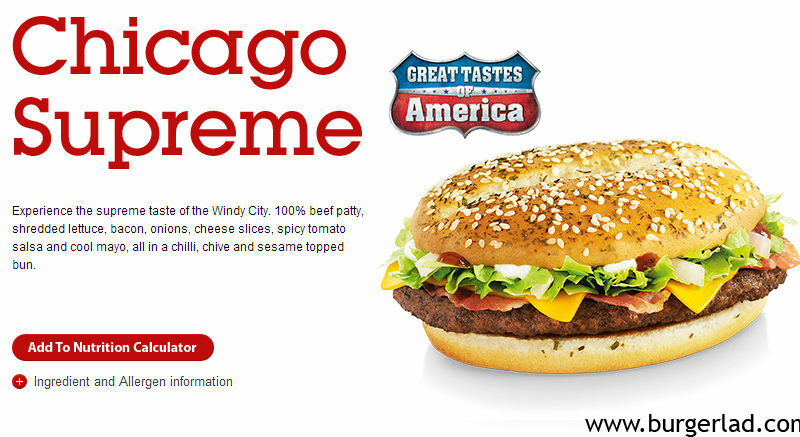 Week 2 of the 2013 Great Tastes of America promotion sees us visit Chicago on this whirlwind tour of the United States. In case you missed it, you can read our review of the Louisiana BBQ from week 1 here. What is the true supreme taste of the Windy City? Is it Chicago-style hot dogs? Or is it possibly deep dish pizza or Italian beef? 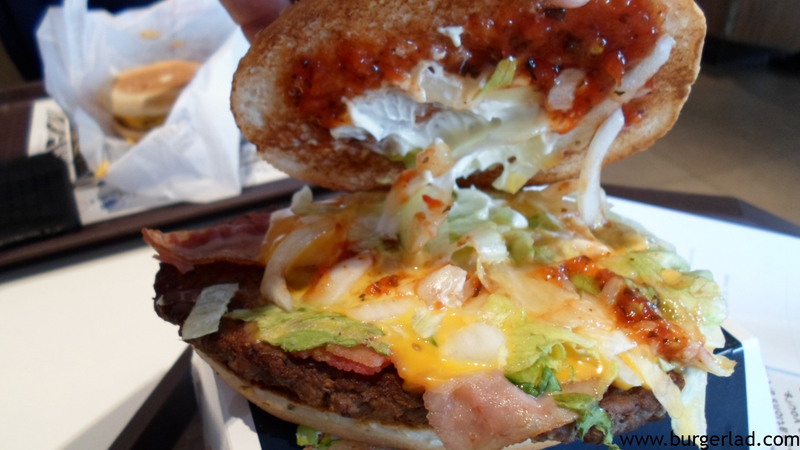 McDonald’s will have us believe that a bacon cheese burger with salsa and mayo on a posh sounding bun is a reflection of the tastes of Chi-Town. So, is this a load of old Chicago bull, or will it single-handedly win the NBA (New Burger Award)…? 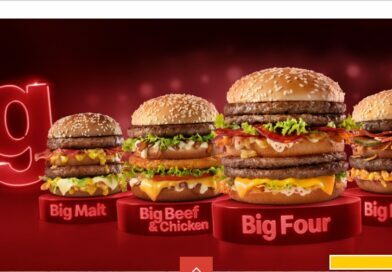 We found ourselves at our nearest McD’s on day one of the second of five Great Tastes limited time offers. My latest trick for living life in the fast food lane, is to get to McDonald’s for midday, thus missing the majority of the lunchtime crowd. However, this does backfire somewhat as guess what was sat waiting for me when I placed my order? That’s right – two Chicago Supremes lay in wait looking for a new home. 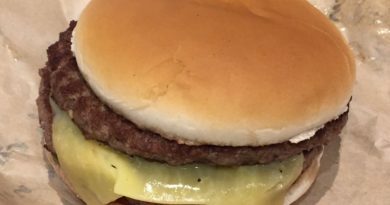 These burgers that are made-up ready are prone to what we in the trade call “burger slide” where some or most of the ingredients slip to one side resulting in bun misalignment and a potentially messy eat. I was served quickly and off I went with my latest capture to find somewhere to sit. 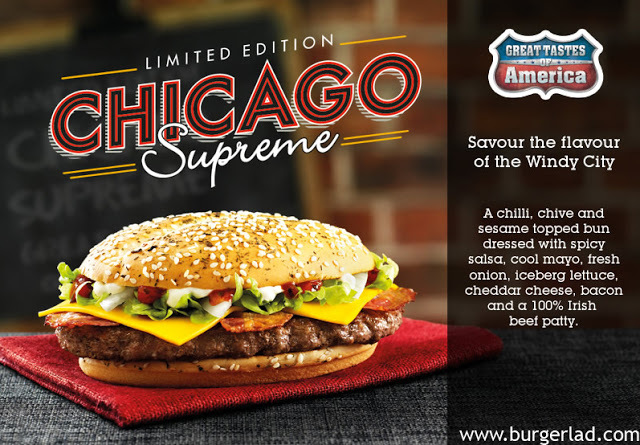 We gave it the glamour shot treatment and then I was finally ready to try the Chicago Supreme. 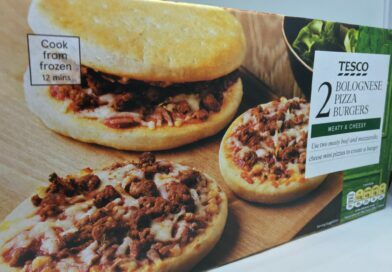 Now I understand this has been on sale in previous promotions, but I will treat it like any other review and give it the full Burger Lad® blarney. 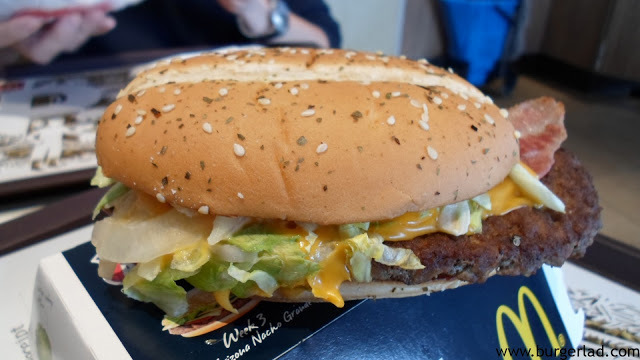 As you can see from the photo, it had suffered a bit from the aforementioned “burger slide” but looked fairly well put together. We filmed our latest episode of BLTV (see below) and savoured the flavours on board. Immediately I got a hit of the spicy tomato salsa and this was a very enjoyable condiment – I wouldn’t call it spicy but more tangy, and it was a shame there wasn’t more of this saucy salsa on board. 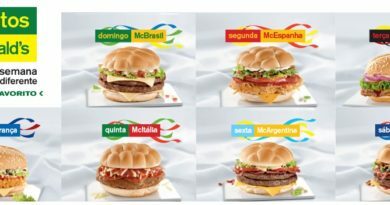 More Ronald please! The next distinct element was the bacon and this tasted pretty good with its smoky tones and I was fairly impressed with the standard of the slice. We did our usual “patty analysis” – it looked a bit dry to be honest but as you broke it up a bit you could see some moisture in there but there wasn’t much of a taste to it. The bun didn’t have much of a chilli or chive taste to it but it did hold together well and was firm and fresh. Now in the past, I would have probably skipped trying this due to the mayo and quite possibly the salsa. 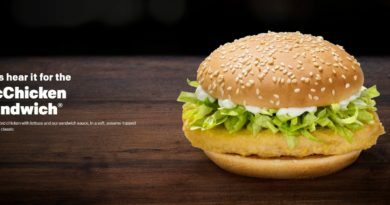 This is due to my thought process assuming it is tomato ketchup in disguise, but again I was pleasantly surprised by the creamy quality combination of the mayo and cheese. The final fling of the Chicago Supreme was that sharp taste of the onion cutting through to ward off any palate fatigue. 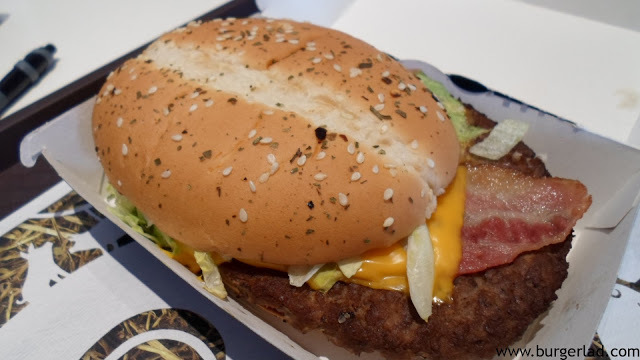 The lettuce was a bit sad and looked like it has been pressed against warm food for too long and my mind wandered back to the packaging for the McDLT. 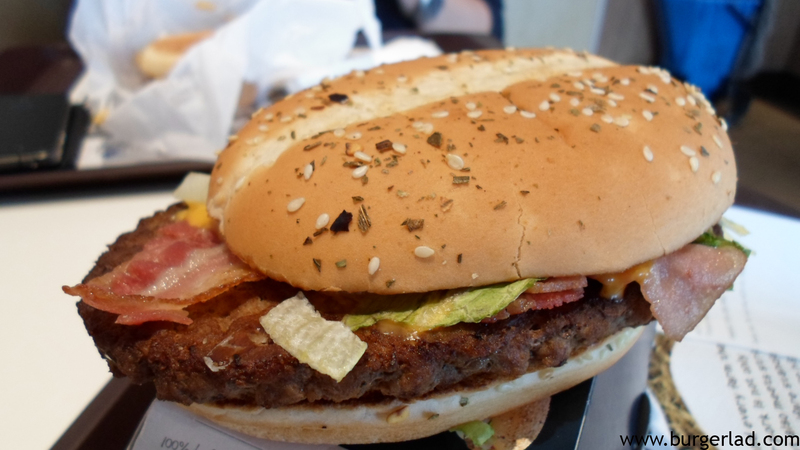 Overall this burger was a fairly safe play from McDonald’s for this 2013 Great Tastes promotion. If you dissect every component alone I wouldn’t say anything supreme shone out but combined together it makes for a reasonable enough limited time offer. The Arizona Nacho Grande is available next week which contains slices of pepperoni and I thought maybe the Chicago Supreme could have some additional Italian Beef slices on it for a tenuous link to the Windy City. Just an idea…I assume bacon is more likely to attract the average consumer than something like Italian Beef. We’ll leave you with our latest episode of Burger Lad® TV and that Chicago Supreme. I won’t insist you rush out and buy it because I’d put money on it appearing again in the future. Burger Lad® also predicts, Mystic Meg style, that your hard earned money should be saved for the Arizona Nacho Grande. This time next week…..